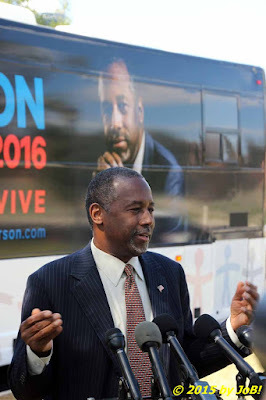 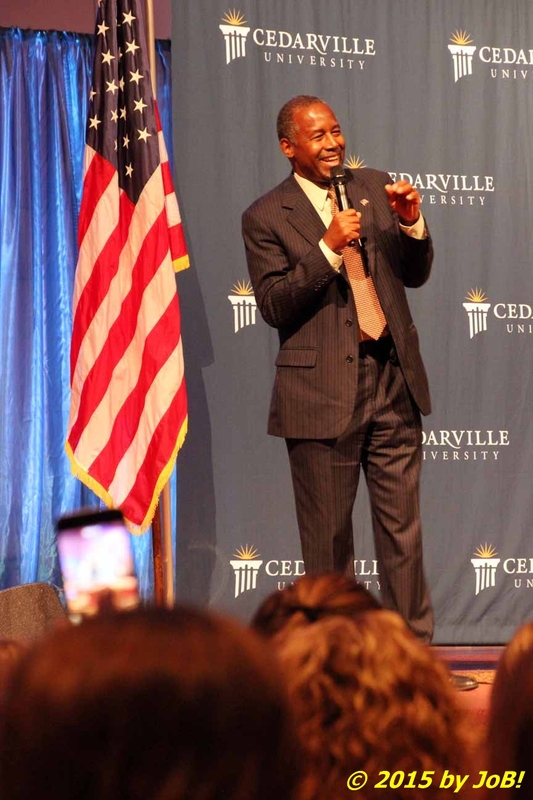 Cedarville University's Dixon Ministry Center served as the host of Republican presidential candidate Dr. Ben Carson's Tuesday afternoon rally in Cedarville, Ohio. Republican presidential candidate Dr. Ben Carson walks up for a press availability prior to a rally held at Cedarville University in Cedarville, Ohio on Tuesday afternoon. 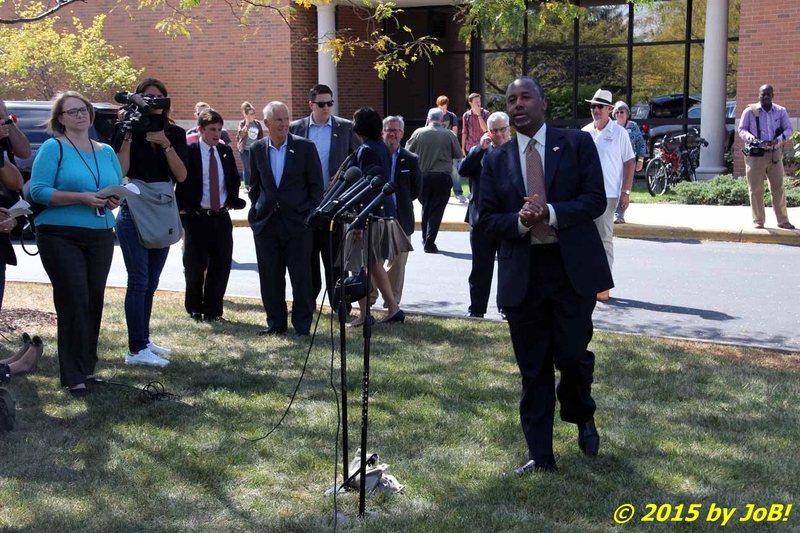 Republican presidential candidate Dr. Ben Carson answers reporters questions during a press availability at Cedarville University in Cedarville, Ohio on Tuesday afternoon. 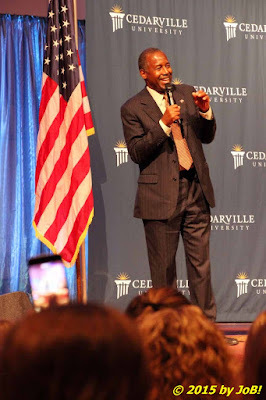 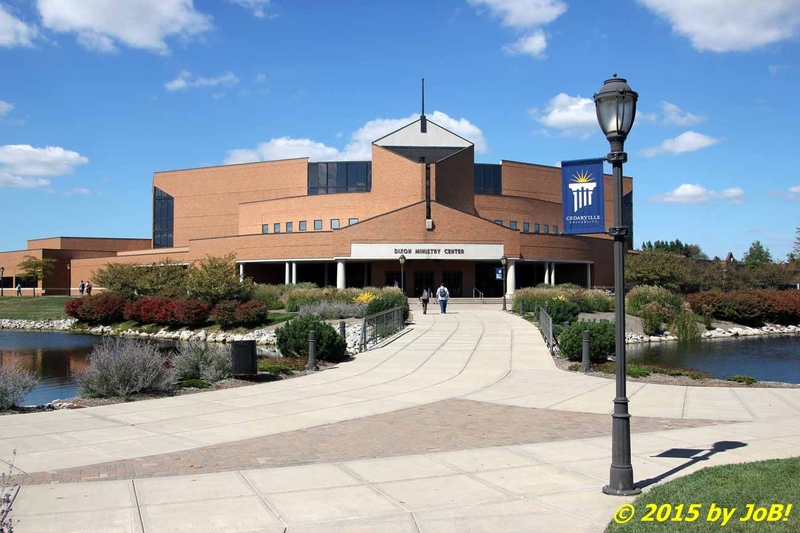 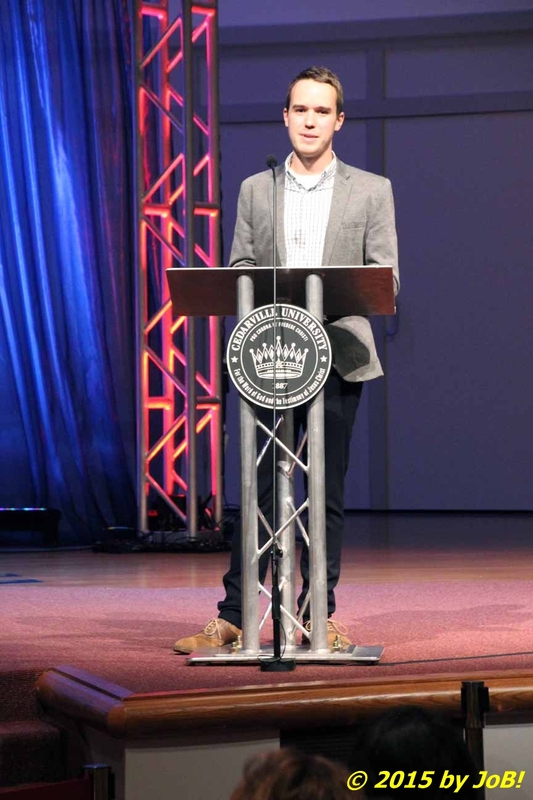 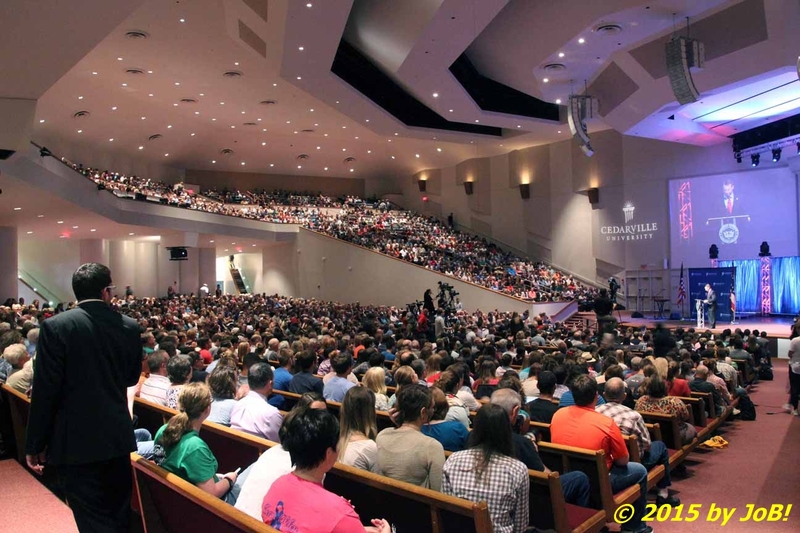 Cedarville University's Jeremiah Chapel appeared to be near its 3,400 seat capacity for Tuesday afternoon's rally for Republican presidential candidate Dr. Ben Carson in Cedarville, Ohio. 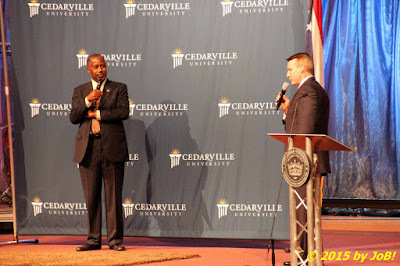 Adam Brandt, a 2012 Cedarville University graduate, provides opening remarks at Tuesday afternoon's rally for Dr. Ben Carson in Cedarville, Ohio. 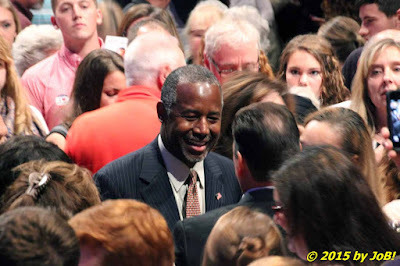 In 1985, Brant's parents sought out Carson, a retired pediatric neurosurgeon, to remove remnants of a brain tumor missed during an initial surgical procedure at Baltimore's Johns Hopkins University. 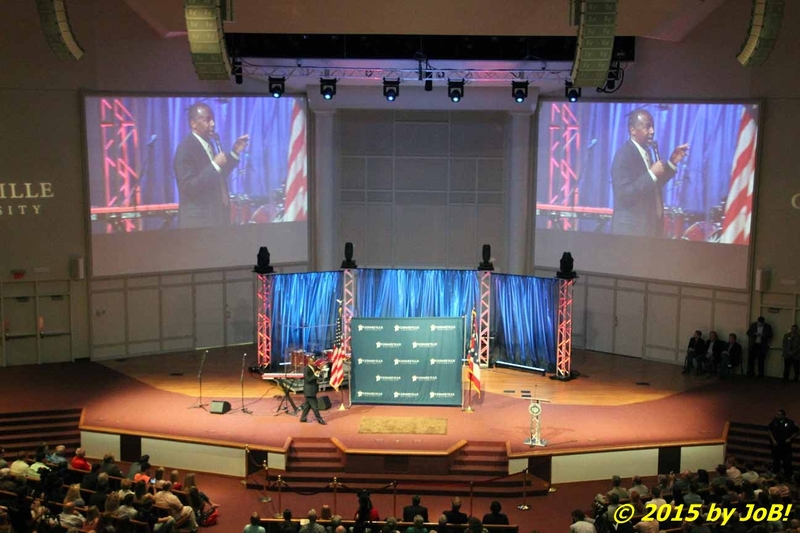 Republican presidential candidate Dr. Ben Carson talks to rally attendees at Cedarville University in Cedarville, Ohio on Tuesday afternoon. Republican presidential candidate Dr. Ben Carson, left, takes questions from Cedarville University president Dr. Thomas White, right, near the end of the rally held in Cedarville, Ohio on Tuesday afternoon. 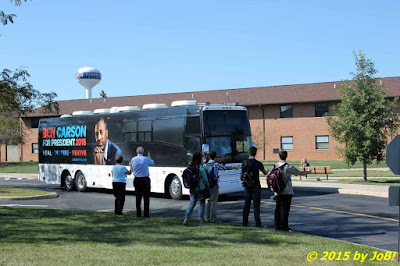 Republican presidential candidate Dr. Ben Carson, center, greets well-wishers at the conclusion of the Cedarville University rally on Tuesday afternoon in Cedarville, Ohio. The campaign bus for Republican presidential candidate Dr. Ben Carson departs the Cedarville University campus after the Tuesday afternoon rally in Cedarville, Ohio.